Incorporated in 1996, INNOVO Corporation has been applying it’s over 75 combined years of experience to the design and manufacturing of tooling and systems for the tube and pipe fabricating and production industries. 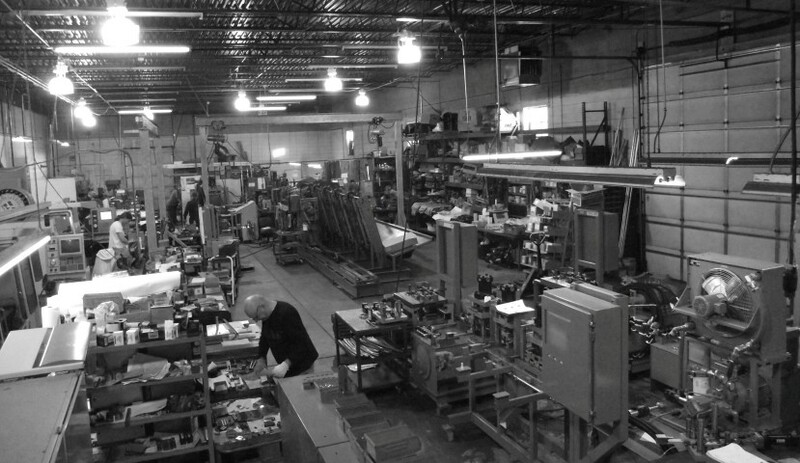 Located in Elk Grove Village, Illinois from our humble start of providing basic tube notching tooling we have progressed to a leader in the manufacturing of quality and innovative automation systems. As a full service automation house we offer in-house engineering utilizing Solidworks, electrical engineering, programming, complete hydraulic systems, training and service. Our manufacturing facility includes CNC machining centers and wire EDM machines. As the interpretation of INNOVO means in the Greek language, innovation is our strong suit and we are here to provide innovations to your applications to insure your longevity and profitability today and in the future. The following pages show our standard and custom engineered products used for cutting, notching, piercing, slotting, flattening, forming, trimming, bending, end forming, assembling applications and more. From tooling to notch the end of pipe for manufacturing of gates used in the Fence Industry to an automatic system to end form, bend, notch and pierce components used in the Auto Industry we have the solutions. For applications for use in your existing presses or in our stand alone hydraulic activated press lines, we can provide the right solution to your requirements. Our application engineers have the experience to review your application at your facility or ours as the need arises. We look forward to working with you and your organization to build a strong, long term working relationship. NEW 237SUT single unit triple station notcher. This single unit will allow you to combine three of your most common assemblies into a single unit. 237SU Single Notch Unit for 90° notches.